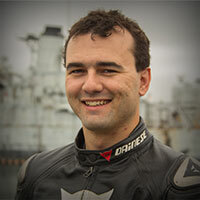 Dainese Super Fast Leather Jacket: Speed Up! I dont know about all of you out there, but I love speed, racing, and twisties. So I obviously love riding a motorcycle. So what would I want my jacket, or gear to be called? We have seen the Super Speed and the Airfast, but we want more. 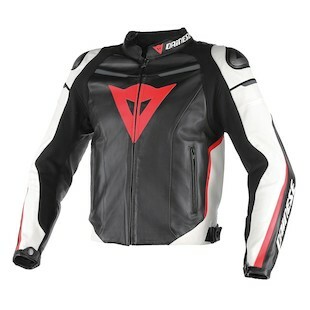 Well they heard us and brought the Dainese Super Fast Leather Jacket (I didn’t think I could get any faster). The Airfast’s faster brother, the Super Fast adds a race hump, shoulder plates, and chest plate pocket. So you get some of the Dainese race proven DNA in a .9mm chassis (same as the Airfast). You will find the usual Dainese refinements with a 3D bubble liner, composite protectors in the elbows and shoulders, and a waist connection zipper. Overall, a nice addition to the line for those who want to look as fast as they ride (or at least as fast as they think they ride). The Super Fast may just help you be…. super fast.